Two conspiracists walk into a bar …. Do you really believe that was just a coincidence??? In reading Conspiracies of Conspiracies, you need a laugh up front because the content of the book is so discouraging. There are thousands of conspiracies circulating, and each has its adherents. The United States is positively awash with crackpot theories, and thanks to social media, their proponents are out there pounding the cyber streets for more believers. It has become a part of daily life. The president has made them legitimate. 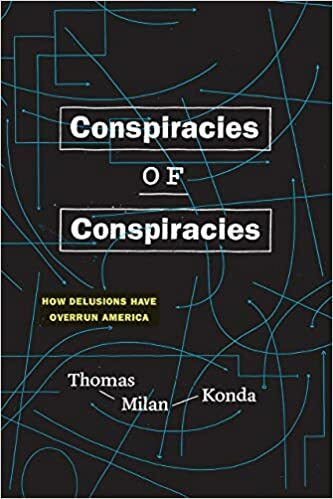 Author Thomas Konda has assembled hundreds of pages of conspiracists and their theories, shown where their ideas came from and how they fit into the conspiracy world. It’s intimidating just to think how he divided and analyzed the mountain of nonsense that has been growing in number, importance, and legitimacy since the founding of the country. Konda is engaging and thorough, as well as worrisome and depressing. There are basically two kinds of conspiracy theory. One is based on White Anglo Saxon Protestants (WASPs) under attack for their very lives, and one where theorists deny anything, from their own lying eyes to theoretical science. Both kinds can be linked to violence and both require absolute faith. 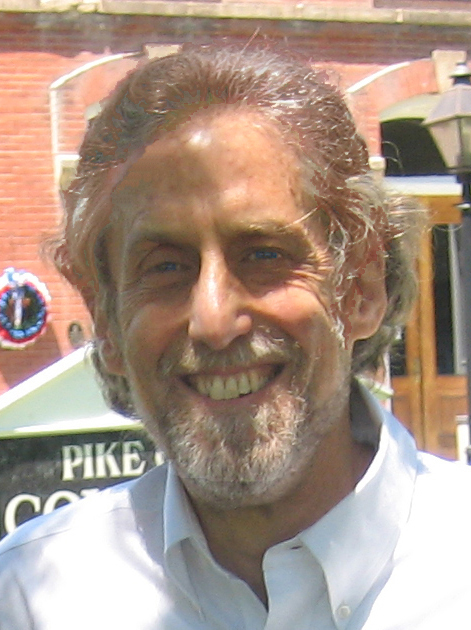 William Potter Gale was emblematic of the first kind. He claimed that communism was Satan’s form of government, and that it was being imposed on Israel as their government. Worse, that communists believe that the created are above the creator, and that those who believe the US federal government is above the states that created it have accepted Satan’s communistic philosophy. And therefore, Jews must be stopped. A lot of WASP fear has to do with the Aryan race, which does not and has never existed. Aryan, Konda points out, is a fictitious term made up by 19th century linguists, who needed to invent a people that spoke the theoretical Aryan language – the precursor of western romance languages. It was just a construct, a placeholder. Nonetheless, it was quickly turned into a race of pure white Christian people, so far superior to anyone else that everyone should aspire to it today. And protect and defend it, with guns as necessary. Americans saw conspiracies when the country left the silver standard and moved to gold. They claimed it played right into the hands of international (Jewish) bankers, who would then own the country. Later, when America left the gold standard, the blame went to the Federal Reserve, which appeared in 1913, and which was/is run by those same bankers for their own profit. There are numerous conspiracies surrounding the Fed and how it will leave Americans with worthless fiat dollars. And the Illuminati, the Masons, Jews, blacks, immigrants in general, Catholics, one-world, the UN, the Council on Foreign Relations, the Deep State and the Hidden Hand. Conspiracists can be against democracy itself on the basis that it is run by Jews, compared to say Stalin, who was straightforward, above board, and busy wiping them out (despite being married to one). Meanwhile, Karl Marx was accused of being run by the Illuminati. The inconsistencies are staggering, and matter not at all to the conspiracists. One of the many successful tools to promulgate conspiracies is simple age. Citing older, long forgotten conspiracy tracts gives current theories credibility. Konda cites Glenn Beck as one who got great mileage out of reviving old conspiracy theories from the 30s to the 60s. This works for a number of very good reasons. The original author is no longer around to dispute the new slant. The original documents s/he employed have long disappeared, so no verification is possible (if it ever was). And there is no one to vouch for or against the veracity of the theory as newly reminted. So Glenn Beck (et al.) must therefore be right. Neat. 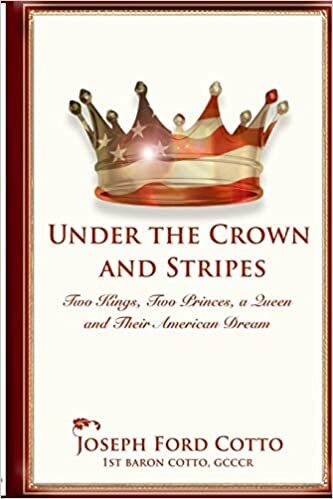 It seems that American White Anglo Saxon Protestants are naïve, gullible, susceptible, brainwashable weak fools who need constant protection from the entire rest of the world, which is always on the cusp of enslaving them, without their knowledge. Conspiracists are forever yelling at them to wake up before it’s too late, and to defend their God-given advantages with their lives. With advances in culture – film, tv, cable – conspiracies branched out into simple denialism. Denialism reaches far back – the Holocaust, creationists, flat earthers – but modern denialists focus on current events. Think, 9/11, JFK, and even FDR, who was killed because he wasn’t moving fast enough for his communist handlers. They say. As insane as it all appears, there is more – attacks on science itself. Conspiracists are against not just MMR vaccines, but some are actually still against being inoculated against polio. Climate change is a “dingbat hoax so broadly implanted even the pope talks about it” as if it were real. AIDS, the moon landing – anything science comes up with is subject to denial by conspiracists. There are even conspiracists who deny Einstein’s theory of relativity. The saving grace of the denials is that they are not (necessarily) Jewish, communist or black. This, in conspiracy terms, is progress. And yet, through all the conspiracies to take over the world by religion, pseudo-science, spiritualism, political cabals, deep states and sheer force, the world trundles on as usual.